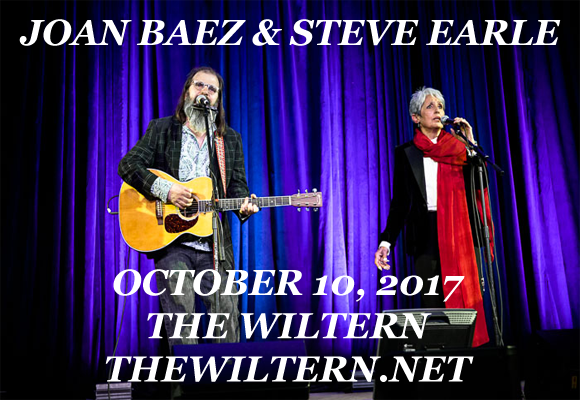 An all-star line-up, including Joan Baez, Steve Earle & Patty Griffin, will be coming to The Wiltern on Tuesday 10th October 2017 as part of the Lampedusa: Concerts for Refugees Tour! Don't miss this special show for an amazing cause! American folk singer, songwriter, musician and activist Joan Baez first began her career in midst of the folk music revival of the 1960s, finding instant success with her first three albums, Joan Baez, Joan Baez, Vol. 2, and Joan Baez in Concert, which all achieved gold record status. Baez has recorded over 30 albums throughout her career and is known, not only for her songwriting, but also for popularising the songs of other artists, particularly Bob Dylan. She is known best for her song "Diamonds & Rust" and for her covers of Phil Ochs's "There but for Fortune" and The Band's "The Night They Drove Old Dixie Down". She was inducted into the Rock and Roll Hall of Fame in 2017.